A grim report prepared by the Main Intelligence Directorate of the General Staff of the Armed Forces (GRU) on Malaysia Airlines Flight 370 is stating today that within 24-hours of this aircrafts “diversion” to the highly secretive Indian Ocean US military base located on the Diego Garcia atoll, no less than four flights, within the past week, containing top American and Chinese disease scientists and experts have, likewise, been flown to there. 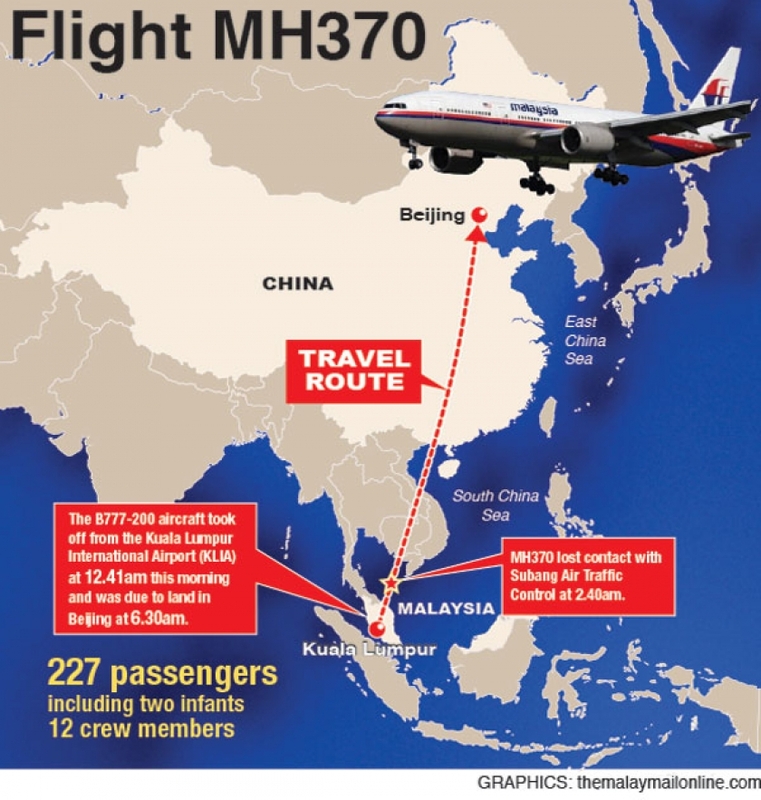 According to this report, Malaysia Airlines Flight 370 (also marketed as China Southern Airlines flight 748 through a codeshare) was a scheduled passenger flight from Kuala Lumpur, Malaysia, to Beijing, China, when on 8 March this Boeing 777-200ER aircraft “disappeared” in flight with 227 passengers on board from 15 countries, most of whom were Chinese, and 12 crew members. As we had previously noted in our report “Russia “Puzzled” Over Malaysia Airlines “Capture” By US Navy,” the GRU had previously notified China’s Ministry of State Security (MSS) of its suspicions regarding this flight due its containing a “highly suspicious” cargo that had been offloaded in the Republic of Seychelles from the US-flagged container ship MV Maersk Alabama. First arousing the GRU’s concerns regarding this “highly suspicious” cargo, this report continues, was that after its unloading from the MV Maersk Alabama on 17 February, its then transfer to Seychelles International Airport where it was loaded on an Emirates flight bound for Kuala Lumpur International Airport in Malaysia, after first stopping over in Dubai, the two highly trained US Navy SEALS who were guarding it were found dead. The two US Navy SEALS protecting this “highly suspicious” cargo, Mark Daniel Kennedy, 43, and Jeffrey Keith Reynolds, 44, were found dead under “suspicious circumstances” aboard the MV Maersk Alabama, this report says, further raising Russian intelligence suspicions as they were both employed by the Virginia Beach, Virginia-based maritime security firm The Trident Group which was founded by US Navy Special Operations Personnel (SEAL’s) and Senior US Naval Surface Warfare Officers and has long been known by the GRU to protect vital transfers of both atomic and biological materials throughout the world. Upon Flight 370’s departure from Malaysia on 8 March, this report continues, the GRU was notified by the MSS that they were going to divert it from its scheduled destination of Beijing to Haikou Meilan International Airport (HAK) located in Hainan Province (aka Hainan Island). Prior to this planes entering into People Liberation Army (PLA) protected zones of the South China Sea known as the Spratly Islands, however, this report continues, Flight 370 “significantly deviated” from its flight course and was tracked by VKO satellites and radar flying into the Indian Ocean region and completing its nearly 3,447 kilometer (2,142 miles) flight to Diego Garcia. 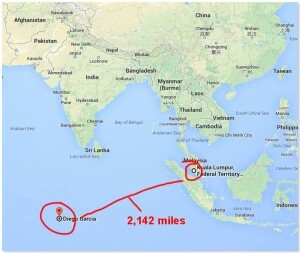 In a confirmation of the GRU’s assertion that Flight 370 was, indeed, flown to Diego Garcia, this report says, satellite transmission data analyzed by US investigators showed that this planes most likely last-known position was in a zone about 1,609 kilometers (1,000 miles) west of Perth, Australia in the Indian Ocean.. 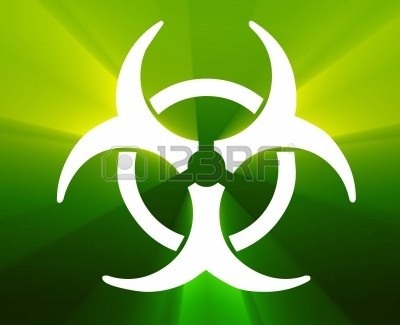 Most troubling to the GRU about Flight 370’s “diversion” to Diego Garcia, this report says, was that it was “nearly immediately” followed by some of the top disease scientists and experts from the United States Centers for Disease Control and Prevention (CDC) and the Chinese Center for Disease Control and Prevention (CCDCP) embarking to Diego Garcia on at least four flights. What is to be known, this report says, is that as Malaysia has been forced to admit Flight 370 was, indeed, “diverted” from its flight path as the GRU had previously reported, and as at least 25 nations are now involved in searching for it, it remains a mystery as to what is actually occurring. Also known, this report concludes, is that Diego Garcia as a designated ETOPS emergency landing site for flight planning purposes of commercial airliners transversing the Indian Ocean, and as one of 33 emergency landing sites worldwide for the NASA Space Shuttle, it is “inconceivable” that any type of aircraft, let alone Flight 370, can fly anywhere in the Southern Hemisphere without being tracked, monitored and recorded in totality. March 16, 2014 © EU and US all rights reserved. Permission to use this report in its entirety is granted under the condition it is linked back to its original source at WhatDoesItMean.Com. Freebase content licensed under CC-BY and GFDL.